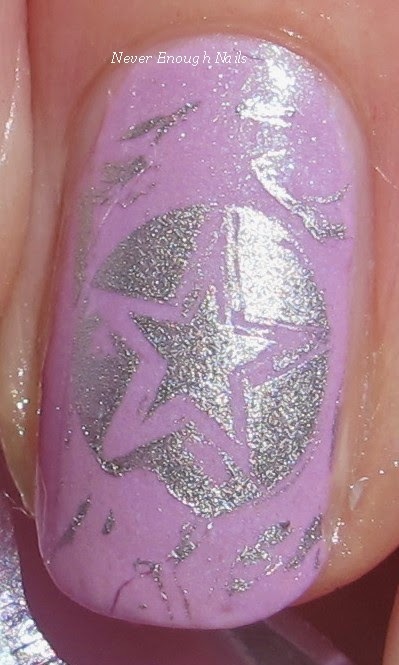 Never Enough Nails: Born Pretty Store Stamper, BP-55 and BP-49 Plates! 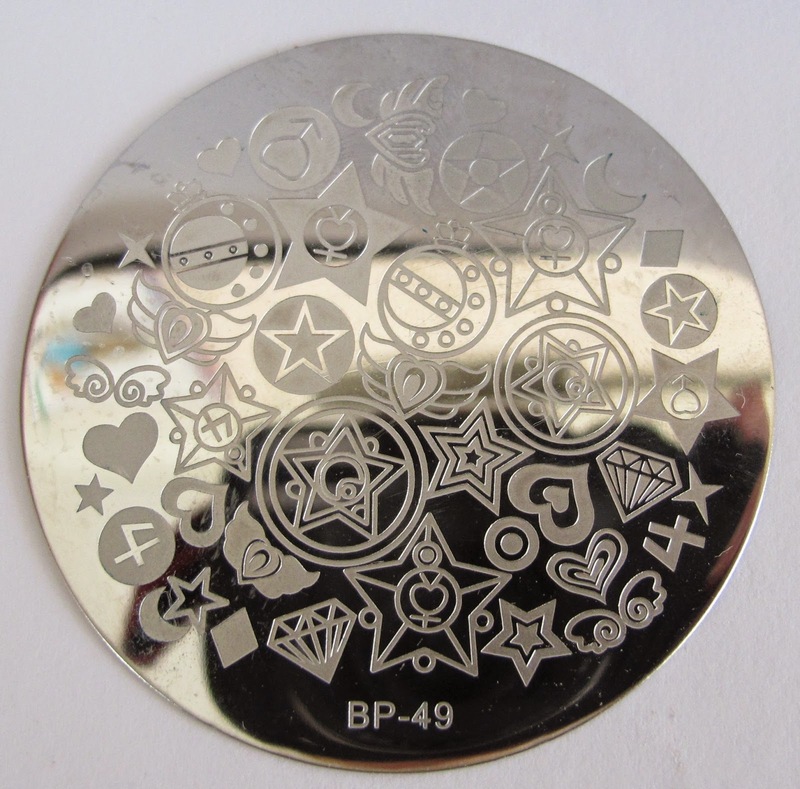 Born Pretty Store Stamper, BP-55 and BP-49 Plates! Born Pretty Store recently send me two of their newer stamping plates and a new stamper to try out. The plates are BP-55, a nice selection of floral, leaf and kind of tribal patterns, and BP-49, a mishmash of stars, hearts, diamonds, moons, and more. The stamper is the soft squishy variety that I've been wanting to try. My old stamper is the old harder kind and I've heard great things about the squishy variety. I like it so far, but I did have to prime it several times. I didn't have a crystal file handy, so I think I should still prime it again with a crystal file. It sometimes wasn't picking up all of an image. I used Sally Hansen Insta Dri Silver Sweep to stamp over Zoya Leslie. I used the BP-55 plate on my pointer and middle finger, and BP-49 on my ring and pinkie. 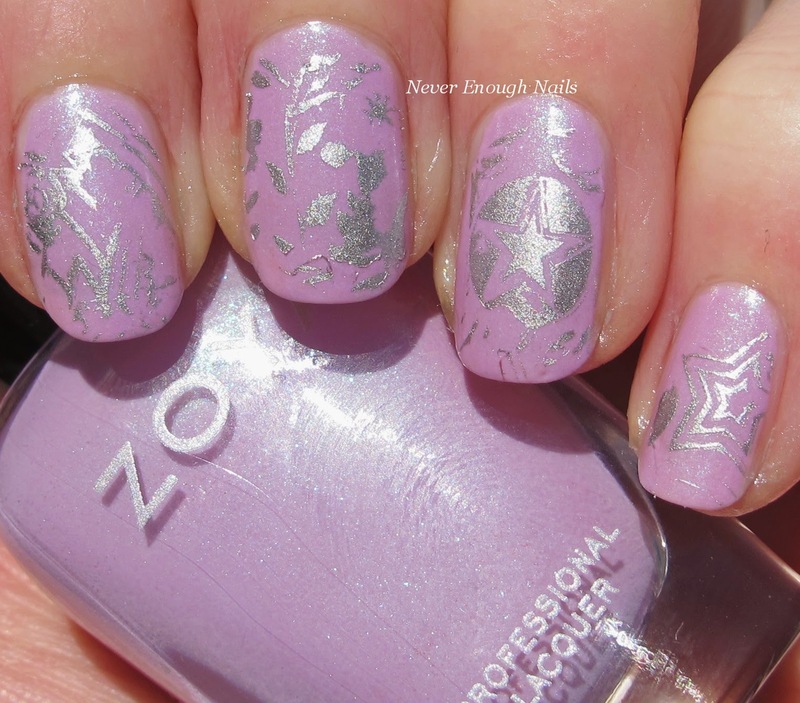 I love how the silver looks stamped over the pale lavender, it's sort of a subtle look. 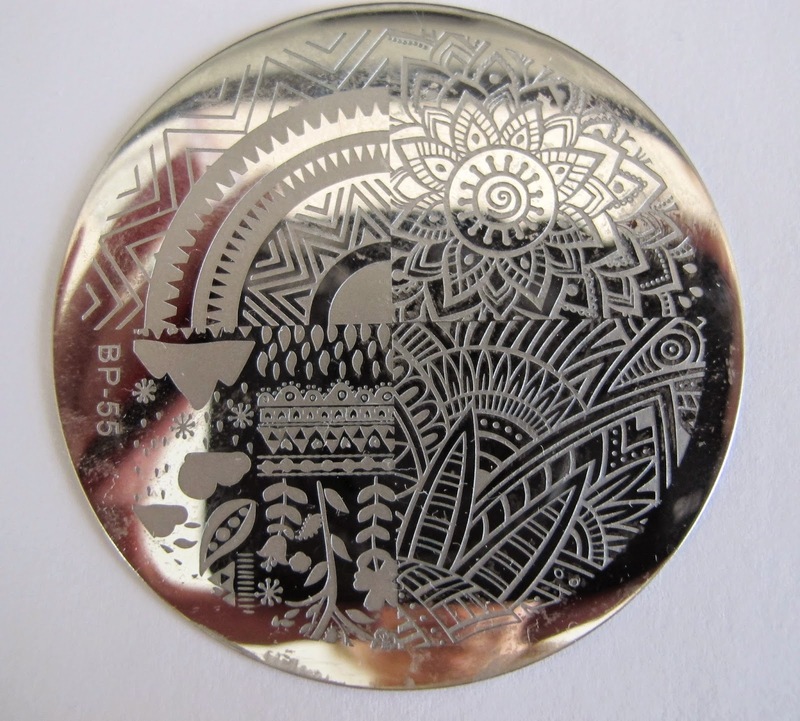 I definitely recommend these two stamping plates, especially BP-55. I love the leaf pattern especially, but like everything on that plate. I think I like the squishy stamper too, but I still need some more testing on that after I file it properly with a crystal file. These items are all available at Born Pretty Store!